I have been thinking about inner potential as it relates to writing. This is a very broad subject so when I decided to write about it, I cast around for a convenient structure. I settled on chakra. I was introduced to chakra through my martial arts classes, where the points can be used for healing, harm, and release of inner potential. The last – as it applies to writing – is what I will refer to in next seven days. I’ve decided to make this into two blog series. In the morning will be “The Light Side: Unleash Your Writing Potential” with each day looking at a different area of inner potential based on a particular major chakra point. In the evening will be “The Dark Side of Writing: Fight Your Negative Emotions” with each day looking at a cluster of negative emotions. These feelings can range from fear to prolonged confusion to self-torture. Yes, those emotions. I think it is a topic seldom talked about but they do occur from time to time in every writer’s life. But it is such a dark subject, I want to balance it with something bright like the morning series. And thus the “Light Side” and “Dark Side” post series were born. Chakra are fundamental to several Eastern religions. The idea found renewed popularity in the Western New Age movement, which draws heavily on Chinese, Indian, and Tibetan principles and tried to make them compatible with the Western religions. Although I am not Hindi, I am drawing heavily on the psychological aspects of their chakra system for this blog. Chakra are energy points in the body with physical, mental, emotional, and spiritual functions. Acupressure and acupressure use chakra points for healing. As already mentioned, some styles of martial arts use chakra for healing or harm or self-actualization. The theory behind these practices is that energy flows in channels and chakra are the points where the flow can be disrupted or enhanced. The goal is to open the channels for maximum benefit. Belief systems differ on how to open these chakra and what the effects are. 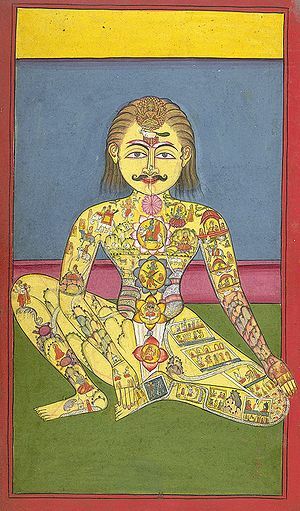 In the Hindi system, there are seven major chakra that run from the top of the head to the base of the spine. There are many, many minor chakra. In the ‘Light Side” series, we start with the crown of the head and work our way down the spine. In the “Dark Side” series, we start with the soles of the feet and work our way up the lower torso. Posted in The Writer, Writer Fears, Writing Life.Tagged Chakra, Emotion, Energy, inner potential, releasing potential, untapped potential, writer fears, writer potential, writing fears, writing potential.